Rockwall residents can now dispose of unwanted prescription and over the counter drugs at any time — day or night. A collection unit for unwanted or unused prescription drugs was installed outside the entrance to the Rockwall Police Department Communication Center, located at 205 West Rusk Street. It is accessibleto the public 24 hours a day, seven days a week. 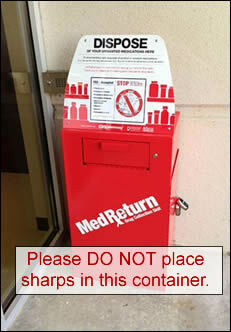 Please DO NOT place sharps in this container. 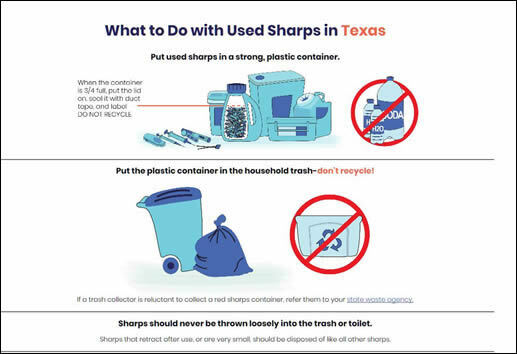 For disposal of used or new sharps, use the guidelines below for the State of Texas.